Italy has been drawing in tourists of one sort or another for thousands of years. It’s not hard to see why. Long before the ‘eat’ part of Eat, Pray, Love, stomachs around the world have been dragging foodies towards the pizza, pasta, and hundreds of regional dishes around the country. From the history of ancient Rome and medieval Florence, to the romance of Venice, fashion of Milan, and more, it’s no surprise nearly 50 million people a year choose to spend their vacation in Italy. With Wi-fi often being slow and unreliable, it’s a good idea to pick up a local SIM card. Prices are reasonably cheap, at least if you go with a reseller. Although the process isn’t as straightforward as some other countries, service and coverage are reliable once you’re actually set up. Note: Italy is part of the European Union, which introduced new roaming regulations in June 2017. These “roam like at home” rules effectively ended roaming charges across much of Europe, meaning you’ll usually pay no more for calls, texts, and data in other EU countries than you would in the country of purchase. Got travel insurance for your Italy trip yet? A good policy can cover you for all kinds of sticky situations, from medical emergencies to canceled flights, theft, lost luggage, and more. We've been using World Nomads for over a decade. There are four different cell networks in Italy, TIM, Vodafone, 3, and Wind. Several resellers also sell services on one or more of those networks. Vodafone and TIM (and resellers using their networks) have the greatest coverage, with Wind and 3 trailing behind. You should be fine in any of the major centres, but if you’re heading off the tourist trail, check coverage maps before purchase. I decided to go with Lycamobile, which had the cheapest prepaid rates and uses the widespread Vodafone network. Although ultimately successful, the purchasing process was far from straightforward. As in many other European countries Lycamobile signs seemed to be everywhere, including at a little store close to my accommodation in Verona. After waiting for the owner to finish her heated argument with a customer, I asked about buying a Lycamobile SIM. Fortunately she spoke good English, despite being outside the tourist area — my Italian isn’t exactly passable. My passport was required, and it took about ten minutes for the various photocopying and data-entry tasks to be completed. I was handed a SIM card pack, and a printed voucher to top up my credit. I returned home, inserted the new SIM and… nothing happened. After rebooting the phone, I received a confirmation message advising my service was now active. When I tried to add the credit as per the instructions, however, I received a message in Italian saying the service wasn’t available. In the end, I needed to return to the shop for another 15 minutes of troubleshooting. In the end we had to borrow another customer’s phone to put my SIM in, and add the credit from there. After that, I used the credit to add a data pack, entered the required APN details, and was finally good to go. All in all, it took at least an hour start to finish to get everything working. My advice would be to make sure everything is working perfectly before leaving the shop. That may mean taking the SIM card extraction tool or a paperclip with you to swap the SIM card instore. Prefer to spend your vacation sightseeing instead of buying SIM cards? Grab one in advance to stay connected in Italy and across Europe. It’s apparently possible to get the SIM card for free in certain Italian supermarkets and other chain stores, but you’ll likely be on your own if you need to sort out any problems. I prefer to buy mine from shops that specialise in selling them, for that reason. As a result, I paid €5 for a voice, text, and data SIM with no credit, and €5 for a 1GB data package valid for 30 days. If you need more data, it’s pretty cheap — €7 for 2GB, €10 for 4GB, etc. You can find all the options here, under the “Data” tab. Data roaming across the EU is included, although the larger packages have a cap of roughly 4GB while overseas. As of April 2019, if you need more than a small amount of data, the best deals are with any of the “National” bundles that cost €10 or more. You’ll get unlimited calls and texts, and at least 15GB of data. EU roaming is included, although again, there’s a cap. All of the above packages are valid for 30 days. You can buy top-ups anywhere you see a Lycamobile store, which as mentioned seems to be about once per city block. Lycamobile has an English version of its website, including both a store locator and online top-up system if you’d prefer. As expected, coverage wasn’t much of a problem anywhere during my trip in northern Italy. I had full service in Venice, Verona, and Milan, and most of the countryside on the train route between them all. Things were a little more hit and miss with data connections around Lake Como, but getting away from stone buildings always helped. 3G/HSPA+ speeds weren’t blistering anywhere, but at around 5Mbps down and 1.5Mbps up, they were perfectly fine for most uses. As long as the phone isn’t locked to the Israeli carrier you bought it from, you won’t have any problem in Italy. The Nokia 105 uses a so-called “mini SIM”, which is actually the largest size you’ll commonly find these days, and uses the right network frequencies for use in Italy. You don’t need anything special for it — any SIM of the right size from any Italian cell company will work. If you want to be sure about whether the phone is carrier-locked or not before you go, you’ll need to find someone else with a phone that uses a mini SIM (good luck, as most current smartphones use a smaller size), then put it in your phone and see if you can make/receive a call or text. If you can, you’re good to go. hi i am travelling to italy spain belgium and netherland for 22 days. Going to Florence Italy for 1 year of University studies. I have iPhone 5s (Verizon) . I hear TIM or Vodafone will work. I need to be able to txt and call back to US at times as well as data for maps and web in Italy. Can you suggest SIM and plan for student? Also how hard is it to take out sim and add new one? When I go home for holiday do I just put Verizon sim back in? I’d recommend Lycamobile – the prices are much cheaper for calls (including international), SMS and data than the competition, but you’re still on the Vodafone network. Ask in store or check out the brochure or website for a current package that suits your needs – they change all the time. Swapping the SIM just requires a paperclip or similar. You’ll drop the Verizon one back in when you return to the US. Is there a Lycamobile store in the train station in Rome? I included a link to the store locator above, so maybe pick which train station you’re going to and check the locator. How can I order a SIM card Italian by Internet? Not sure, sorry. As you can see, I bought mine in person. Hi ,it is posible to get sim 3 in Sicily?What is best sim for unlimited internet in Italy (Sicily)? The 3 store locator is here. Depending on exactly where you’re going in Sicily, it looks like there are plenty of places to buy 3 SIMs there. As far as I’m aware, no company offers unlimited mobile data plans for prepaid customers in Italy. It needs to be an Italian one, unfortunately, otherwise you’ll be roaming with Lycamobile Poland. Lycamobile permit thetering în Italy ? Any shop in Fiumicino Aerport ? I didn’t try to tether in Italy, but I know that Lycamobile tries to prevent it in several of the countries it operates in, so I wouldn’t assume it will work for you. The store locator I link to in the article doesn’t show any shops in Fiumicino airport. You can buy at least 3GB of data at once, and can top up if you need more. Yup, since they moved from the 3 network to Tim this year, they’re worth a look. Can minors buy sim cards alone? I don’t know, sorry. Since it’s prepaid and you’re not entering into a legal contract, it doesn’t seem like it’d be a big issue, but there may be other rules that apply. I want to buy a SIM card in Italy only for phone calls and text – no data – does this make a difference in the price? Do you know if there is a Vodafone shop at Fiumicino airport and which terminal? It should be cheaper without data, although there may not be a great deal in it. The Vodafone store locator (http://trovanegozio.vodafone.it/) shows two shops nearby, but it doesn’t look like they’re within the airport itself. Hi, I’m moving to Italy in a month. Which prepaid sim card should I go for? What I need is more than 2-3GB of internet and around 50-100 minutes to call and maybe some text. I will be glad if you could help David. Thanks! Take a look at Lycamobile’s rates here. There’s a 15 euro package that may meet your needs. If you’d like to use a different company, all the major ones have their rates available online for you to check. I suggest updating this post/series. As of June 2017 cell roaming in the EU no longer incurs charges if you have an EU SIM. If someone is planning a multi-country “grand tour” they could buy one SIM for the entire trip. Also https://www.ezetop.com/ is a great way to top up almost every pre-paid SIM world-wide so you don’t have to remember the specific codes, locations, or websites for the providers. The EU “roam like at home” rules mean that when you use your mobile phone while travelling outside your home country in any EU country you don’t have to pay any additional roaming charges. You benefit from these rules when calling (to mobile and fixed phones), sending text messages (SMS) and using data services while abroad. These rules also apply when receiving calls or texts while roaming even if the person you are calling is using a different service provider. If you had a contract with a mobile operator which includes roaming services it automatically became “a roam like at home” contract. The default option for all new mobile contracts with roaming services is “roam like at home”. Thanks for this. I wrote a post at the time of the changes that outlines all the details, but yeah, it’s worth linking to it for SIM card articles about EU countries, so I’ll go through and do that. One thing I would say, though, is that things aren’t quite as rosy for travelers as that extract might suggest. I go into more detail in the roaming article, but in short, providers aren’t under any obligation to offer non-EU residents free roaming, although in practice it’s typically not worth their time to try to differentiate. Also, despite the regulations, not every package (data in particular) has free roaming activated. It’s always important to double-check at time of purchase whether the particular package you’re buying will roam for free across the EU if that’s something you need, and whether it has any restrictions (data limits, etc) in doing so. Hi Dave. My wife and I are from Canada. We are travelling to Italy then taking a freighter around the eastern Mediterranean then around to Ireland, the U.K., Sweden, Denmark and Belguim. We will be about 10 days in Italy and the same in the UK at the end. Should we just buy a “National plan” in Italy’s? Will this give us data and roaming throughout the EU? Our freighter will be predominantly in EU countries as well. Check out the comment above yours, and the EU roaming article linked there and at the start of this post, for more details on roaming within the EU. As long as the plan you purchase includes roaming (most, but not all, do), and the provider isn’t being difficult about selling it to non-EU residents (it’s legal, but rare, to do so), you’ll be fine with an Italian SIM and call/text/data package in EU and EEC countries, as long as you’re within range of a land-based cell tower. I am travelling to Italy for 5 weeks at the end of April ( a week in Spain first, but will use my Australian sim for those few days). I have read all your info carefully and also checked out the Lycamobile website, but as with most telcos worldwide, they don’t always tell the whole story. I am fairly sure this is the one I will go with. I don’t really need data as most places Im staying have free wifi and I have managed without data on past trips. My main question is regarding coverage. I am travelling south to Sicily and north are far as Milan. I will also be visiting Rome, Florence, Naples, Cortona and Bologna. I will also need to make a few calls home to Australia, can I do that with a national plan? Will I get coverage as far south as Sicily? You only mention more northerly cities in your info, which, by the way, is great!! Thanks for the comprehensive information you provide here. Im a mature aged female travelling solo for most of the time, so any advice you can give is grateful received. Lycamobile uses the Vodafone network, which definitely has coverage in all the cities you mention, and much of the countryside as well. Take a look at this 2G/3G coverage map for details if you want to check somewhere specific on your route — that covers voice and text service as well. According to that map, at least, Sicily seems to have reasonable service. You’ll be able to make calls back to Australia with any plan, at extra cost. This page has the international rates — it looks like Australia is a relatively-reasonable 1 euro cent per minute to landlines, 5c per minute to mobiles, plus an 18c connection fee. You’ll just need to add enough extra credit at time of purchase for your expected usage. Go to https://opensignal.com, put Puglia into the search box, and filter by each operator one at a time to see which is best for your itinerary. Getting up and running was slightly confusing and frustrating, due to a combination flaky vendors and my own mistakes/inexperience. Once I was up and running, I had solid coverage all over Italy. I would not hesitate to use Lycamobile again on a future trip. Across the street from Termini train station in Rome, there was a shop pushing Lycamobile hard, handing out brochures and touting “free SIMs”. Right then, I didn’t have time to deal with it, but took a brochure to get acquainted with the available plans. I decided to put off getting the SIM until I arrived in Florence a couple of days later, where I would have more free time. In Florence, I used the online store locator to find vendors that carried Lycamobile SIMs and supported balance recharges. Several places on their list were either closed, out of stock, or unable to help (“Can you come back this afternoon when my husband is here?”). It’s Italy – you have to take things in stride. Finally I found a store that had the SIM. They charged me 20 Euro for the SIM with 5 Euro of balance, claiming an “activation fee” and some other nonsense. I think I got ripped off, but at least I had my SIM. Then the clerk informed me their store doesn’t do balance recharges anymore – I would have to find yet another store to add sufficient balance to purchase my desired plan. Ugh. Finally I found a store that sold balance recharges. These come in the form of scratch-off cards with a PIN, sold in 5 Euro increments. I purchased 10 Euro worth of cards, which combined with the existing 5 Euro balance on the SIM, would allow me to purchase the 12 Euro “Italy White” plan. (30 days, 5GB data with EU roaming, unlimited minutes and SMS). So here’s where the user error comes in: The instructions on the recharge card say to dial “*131*PIN#” to add the balance to the SIM. I interpreted this to mean “*131*” and then the PIN number. Wrong. I should have dialed, “*131* then the PIN, and then the POUND SIGN. Duh. I should have been suspicious when I didn’t receive any confirmation messages after dialing. So I assumed I now had 15 Euro of balance (wrong). I dialed the code to enable the “Italy White” plan (*139*10018#), entered the APN stuff, and enabled cellular data on my phone. I had great service for about half a day, then no internet. Eventually, I figured out that I had not properly added the 10 Euro balance, and had not activated my desired data plan, so I was blowing through mobile data at the “a la carte” rate, and quickly used up the SIM’s original 5 Euro balance. Finally, I figured out my pound sign mistake and successfully added the 10 Euro credit (fortunately I hadn’t tossed out the scratch cards). Since 10 Euros was no longer enough for the “Italy White” plan, and I didn’t have time to shop for more recharge cards, I opted for the 6 Euro, 1GB “Italy Blue” plan (activation code *131*10010#), and then used the remaining balance to purchase an additional 1 GB for 3 Euro (activation code *139*10011#). On each recharge, and the activation of the data plan, I was prompted to confirm my choice, which had not happened before. Fortunately, the 2GB of data got me through 3 weeks of travel with no problem. Again, coverage was solid throughout the entire trip. I still had service during a layover in Frankfurt on the way home, so their promised EU data roaming appears to work. All in all, I paid 30 Euros for the SIM card and 2GB of data and unlimited minutes and SMS. If I hadn’t screwed up the recharge, I could have gotten 6GB for that price (12 Euro for the 5GB Italy White plan, plus an additional 1GB for the remaining 3 Euro of the total 15 Euro credit). Now that I have the SIM, if I remained in Italy for a longer time, subsequent months would only cost 12 Euro. 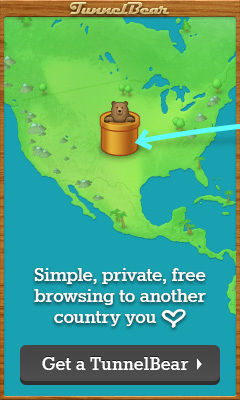 Anyway, Lycamobile is a solid choice if you don’t require much hand-holding, which is exactly what I was looking for. My frustrations were not completely unexpected, and overall this was a good learning experience. In contrast, my wife purchased her SIM from a TIM store in Rome, where they did everything for her, but where’s the fun in that? Great report – thanks Greg! Thanks for the info and advice. I will be travelling around Italy throughout September, and this looks useful. But I was worried because the Lonely Planet book says that it depends where your phone is from and/or what kind it is, as to whether you can get a SIM card that is suitable…??? I’ve never heard of this, and have had no problem in the past. I live in Vietnam and have a Samsung Galaxy S7 (bought in Vietnam.) I’ve never had a problem buying or using SIM cards when travelling in Singapore, NZ, Australia, or the UK. Can you foresee a problem here? If you’ve been able to buy and use a local SIM in all those places, you’ll be fine in Italy as well. I suspect the LP author was alluding to things like locked phones and old non-GSM models from eg. the US, but it’s hard to know. In any case, neither of those things apply to you. Don’t buy a Lycamobile SIM at the Rome airport… I had just gotten off a 12 hour commute from Croatia, 2 buses and 1 flight, so I was delirious by the time I landed in Rome. I saw a Lycamobile store at the airport and purchased a 35GB data package for 35 euros. I work while I travel so I figured it would come in handy if WiFi connection was poor. After the sales lady installed my SIM, she charged my credit card 50 euros without any explanation. When I asked, she said there was a 15 euro activation fee and that all carriers had the same fee. By then it was too late and I had been swindled. I went to a TIM store right after and they had a package for 15GB at 35 euros, no extra charge. I feel proper dumb right now, but rookie mistake on my part I suppose. Although it felt like she purposefully did not disclose the additional fee until she had installed my SIM and charged my credit card. Just a heads up for anyone traveling through the airport in Rome! Was it a Lycamobile store or just a store selling Lycamobile SIM cards? Lyca Italy lists their retailer at the Fiumicino airport as Exactta. This store seems to have really bad reviews online. The Lyca Italy website says the SIM cards are supposed to be free at their retailers. Thanks for the heads up. I’ll be sure to ask what their fees are and make sure to pay in cash so there are no surprise charges. We are going to Italy and then France for 6 weeks in May 2019. Do you know if online top ups with this card will work with non Italian (and non EU) credit cards? Lycamobile Italy does have an English language version of its website and mentions its “multilingual team”, though, so it may be worth addressing the question to them via the contact page or cs@lycamobile.it email address and seeing how you get on. Hi Dave, thanks for all the info, it’s been a big help in the past. My husband and I are heading to Italy soon and we’ll be looking for a data SIM to put into the pocket wifi that we share when travelling (that way we can hook both phones and both ipads to the internet, and still be able to receive phone calls from home on our home numbers). Can you forsee any reason why the Lycamobile card would not work in the way we wish? I note further up in the comments you mentioned Lycamobile tries to prevent tethering? I can’t definitively tell you it’ll be fine, but the terms and conditions for the various data bundles on the Lycamobile site don’t seem to mention tethering or other hotspot use at all, which is promising. I’d ask at time of purchase to try to confirm, and/or email Lycamobile at cs@lycamobile.it ahead of time, but it looks at least reasonably likely you’ll be ok. Thanks for all this info. When we use an Italian SIM DO WE STILL HAVE ALL THE APPS we normallyq have on our phones? Thanks for the great article. My daughter is in Italy now and pre-purchased a SIM card through her study abroad program. It wasn’t working well so she just bought a different card from TIM. They told her she could Keep the same phone number but there was something about waiting 2 days? Wondering if she can go ahead and switch the cards out? My guess is that the new TIM card will likely work now, at least for data, and it’s only porting the old number across to the new SIM that will take a couple of days. I don’t know the intricacies of TIM’s activation process, though, so your daughter should probably ask someone at the TIM store for the definitive answer. I’m from Canada and will be traveling to Italy for 3 weeks. 1. I only require data although calling is a perk if included. Should I be looking at the National tab (Italy Gold, blue, red, white) or Data tab on the Lycamobile website? It seems like the National tab gives more data and includes calling and texting at a cheaper rate than the Data tab. 2. Are there any other “hidden” fees when signing up? Ie. I see others paying for Sim card and Activation fee but am not sure if these are legit charges? Yep, it looks like the “National” packages have been upgraded since I last looked, and unless you only need a small amount of data, they’re currently a better deal regardless of whether you need calls and texts or not. I’ve updated the details in the post to reflect that – thanks! I can’t tell you whether you’ll pay extra fees or not, unfortunately — each Lycamobile outlet is independent, and sets its own prices for the SIM and activation. I’d expect to pay something extra beyond the base cost of the package, but often it’s only a few euros (I paid €5, for instance). Did you have to pay for the Lyca SIM pack? On the Lyca Italy website, it says the SIM card is free at retailers. The Lyca Italy website lists Exactta (Fiumicino airport, terminal 3 arrivals) as a retailer. Have you ever tried getting the free SIM card from them? The Lyca Italy website says to “Register and activate your SIM at your local retailer.” What do they do exactly when activating? Lycamobile USA SIM cards can be activated by customers themselves. That’s why I’m wondering what it is about the activation/registration process of Lyca Italy SIM cards that necessitate that retailers do it. The retailer charged 5 euros for the SIM pack and activation. I’m sure if they were asked, they’d say the SIM was free and the activation was 5 euros — as mentioned in previous comments, it’s up to them to set the charge for activation. I purchased the Lyca SIM from a phone store in the suburbs of Verona. I haven’t tried the store at Fiumicino airport. If you speak Italian, you may be able to fill in the forms and activate the SIM yourself – but the vendor still needed to take photocopies of my passport, so I’m not sure how that part would be handled if you were doing it yourself. If possible, could you post a photo of the front and back of the SIM card packaging. Just want to see what the instructions there say. I didn’t take a photo of the packaging, unfortunately. Do you know if I order the Orange SIM card through your link it will provide a local Italy phone number with the card? I’d like to get the SIM card ahead of time so I can give hosts a phone number before I get there. Hopefully you get a referral fee for using the link! I’m pretty sure you get a French number with the Orange SIM. EU roaming rules means it works all through the EU without additional costs, but if you prefer an Italian number, you may need to wait until you arrive unfortunately.